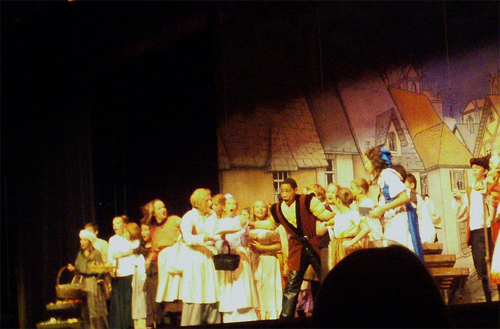 Both Friday and Saturday nights brought hundreds of people to enjoy what must have been a summer of work for the 42 student performers in Beauty and the Beast. 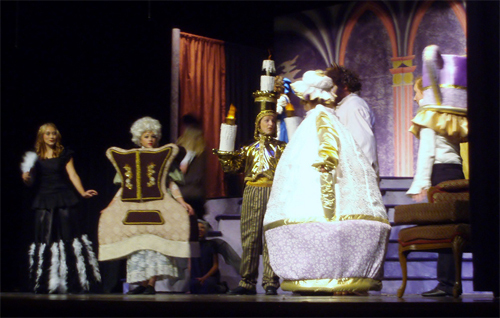 Monroe High School auditorium hosted the theatre group both Friday and Saturday evenings. The student actors of the Performing Arts Academy who come from many surrounding communities made their teachers, family and friends proud with their fine interpretations and enthusiasm. The elaborate sets were appreciated but the super performances surely made the show a grand finale to the summer break for the students and audience. 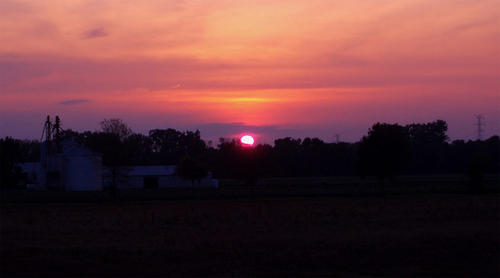 Leaving the performance on Saturday, the sunset gave an added scenic finale.